We’re thrilled to announce the launch of our INR self-testing service on the Isle of Wight. The service, which will initially monitor 100 patients in the Sandown area, will enable those on warfarin to self-test their INR from home, meaning patients will not have to attend the clinic as often. It’s great to see the IOW CCG championing our digital service, after all technology is transforming our lives – the way we travel, the way we book our holidays – so why not our health? How will the new INR self-testing service work? Quite simply, the patient takes a finger prick sample and inserts it into the Roche self-testing device which is provided to them. The patient sends their INR reading to their clinician via either an automated phone call at a pre-agreed time or by going online. The INR reading flows into anticoagulation software used by clinicians to enable safe dosing. 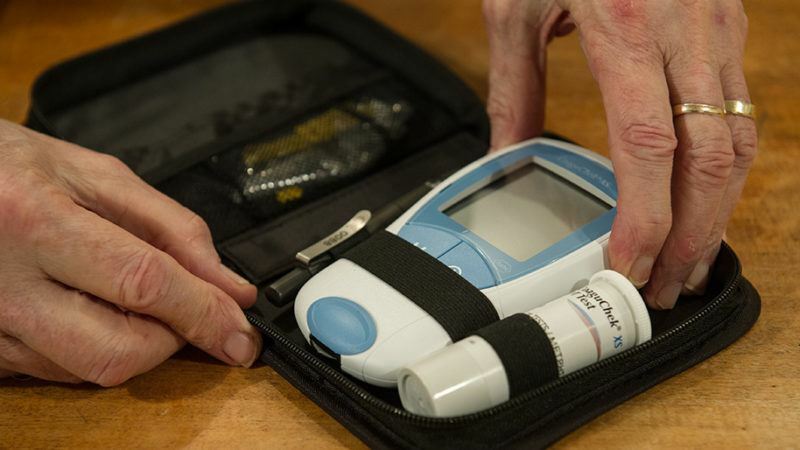 The patient’s new INR reading is then relayed to the patient via their preferred method of choice – again by going online or by a telephone call. The new service will mean patients can manage their warfarin at home, at work or even abroad. They will not be bound to clinic opening hours, have the inconvenience of travel, parking and fuel costs, and nor will they have to work their clinic visits around work or holidays. The service supports NICE’s latest guidance on their recommendations for self-testing for patients on long term anticoagulation therapy. “The evidence shows that greater use of self-monitoring offers clinical and patient benefit and, over time, is likely to result in reductions in heart attacks and strokes caused by blood clots,” says Professor Carole Longson, NICE Health Technology Evaluation Centre Director. The simple to use software means that patients and carers of all technical abilities can benefit – as long as they have either a landline, mobile or access to the internet. Digital health should enable care by being simple and easy to use; it shouldn’t be a barrier to anyone. In addition to convenience, digital health also enables patients to gain more understanding into their condition, which in turn for these patients should have positive effects on the time they spend in their therapeutic range, reducing the risk of a stroke. I look forward to seeing the positive results from the service.